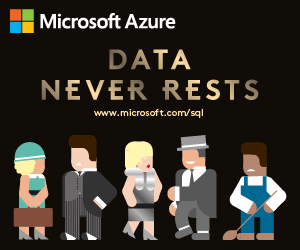 SQL Server Data Tools (SSDT) significantly boosts developer productivity across the database development lifecycle with a modern database development environment for SQL Server and Azure SQL Database. Join us in this session to learn about recent improvements made to SSDT, from support for the latest SQL Server 2016 and Azure SQL DB features to a faster release cadence, a unified installation experience and simplified connectivity. We’ll highlight key experiences through demos, discuss our ongoing work and have an active Q&A to hear from you about what issues we should prioritize going forward. This session gives you a chance to directly connect with the product team and get their insights. You’ll learn a lot whether you’re new to SSDT / Visual Studio development or an experienced developer.